This year Valentine’s Day falls on a Thursday, which actually happens to be my favourite day of the week. I can’t say the same for Valentine’s Day itself though. That’s not to say that I’m a complete hater of the day, I’d describe my feelings towards it as… indifferent. As most of us will be, I’m spending my Valentine’s Day at work (at my LFW internship) and am planning a pretty chilled evening afterwards. 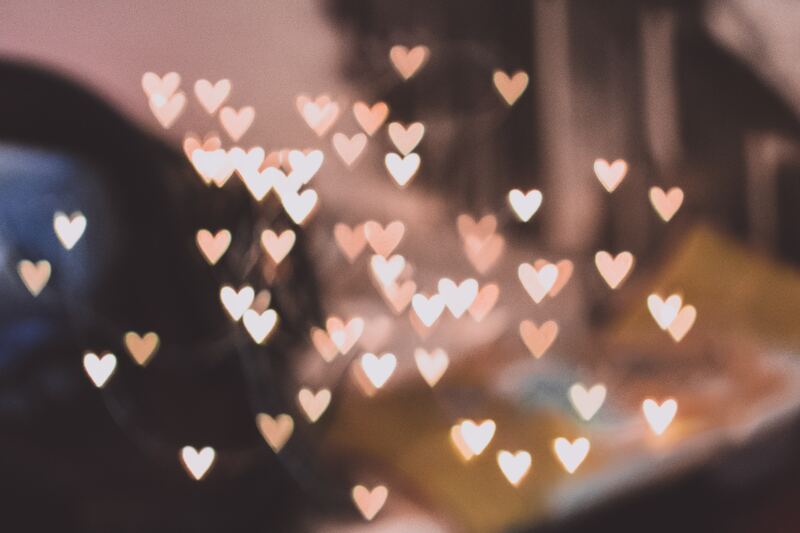 With just a few days to go until the 14th, I’m swooping in for my fellow single gals and putting together a bit of a guide to enjoying Valentine’s Day on your tod. If there’s one thing that will put me in a good mood it’s feeling good about what I’m wearing. Something that I do when I have a big presentation or something similar is make sure that I’m wearing an outfit that I feel great in. It hasn’t got to be an outfit per se but could be something as simple as a pair of earrings that you love or doing your hair in your favourite style. I haven’t picked my outfit yet but I know that it will most likely include my favourite green leather coat that has been all over my blog recently! Lucky for you there’s no shortage of great playlists on my blog and Spotify account for you to check out. For me, what qualifies as a banging playlist is my February Funk one which I shared this month. If there’s any music that’s going to make me feel like I can take on the day it is definitely a bit o’ funk. Alternatively I also have a Girl Power Playlist which could be especially fitting for Valentine’s Day. So whack on your favourite playlist and start your day off right! If there’s any day to treat yourself to something a bit special for lunch it’s definitely Valentine’s Day. If you normally pack yourself lunch then maybe treat yourself by going out for a bite during your lunch break. You could even make yourself something special the night before and take it to work with you. Whatever feels like a treat to you, do it! Any excuse to have an evening in with a gin and a face mask is a winner for me. Valentine’s Day is the perfect time to squeeze a pamper sesh into your week. Run yourself a bath, grab a beverage of your choosing (I’m happy to recommend a selection of gins haha) and watch a film. And of course do it all whilst eating an array of different chocolates and cheeses. What are your plans for Valentine’s Day? Are you spending it with someone special or, like me, are you having a chilled one by yourself? Let me know in the comments. If any of you have any other tips on how to spend Valentine’s Day as a single gal then send them my way! Maybe the single ladies should see it as just an other day, then it might not be so difficult. It’s a working day, so be the best at what you do and go an extra mile by adding value and giving expertise to those who might need it for their relationships or in other areas. These are great ideas to do for yourself on Valentine’s Day or any day / evening you have to yourself. For Valentine’s Day this year, I watched a horror film and had a comforting dinner of sausage, chips and beans. This post is so important. There is so much more to valentines day than just partners. Love is for everyone – friends, girl-friends and family. Loved this post! Even though I’m not single I still do all of this and still celebrate it with a meal out with my partner. I don’t see valentines just for couples it’s a day to remember how to love yourself. Me and the girls had a night in with food and drinks (mainly gin) the night before, then at the weekend went to the spa. I enjoy celebrating it more with the girls, to me it’s all about women empowerment.